ManualsPayments2Us Installation Manual Address autocomplete and validationWhich address tool? The following provides some notes on which option to consider for each of the above. Google may charge for this service at some stage, but at the time of writing, this offering is currently free. All you need to do is sign up for a Google Places API Key. The Google Places option is fast. The Google Places option is not as good as Kleber for its completeness of addresses. For example levels of buildings and unit numbers. 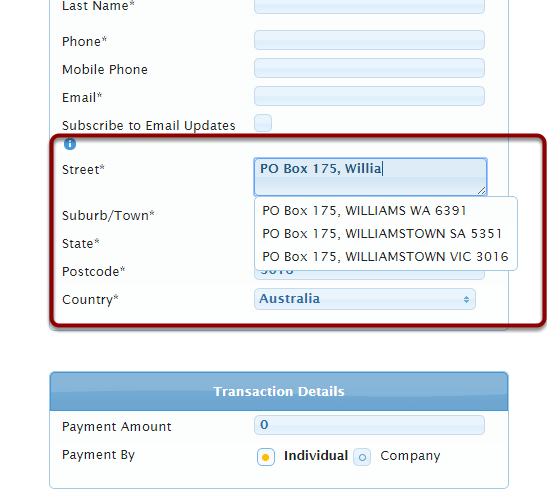 In addition, this option does not return post identifiers such as Delivery Point ID (DPID) in Australia or the equivalent in other countries. Kleber by Datatools provides a very complete world wide address database. Payments2Us will not charge any fee for the Kleber integration, providing organisations sign up to Kleber through the AAkonsult Kleber Link. You will need a AAkonsult Kleber license key that is provided after signing up for Kleber. Kleber is a paid product and in our opinion the prices are very competitive. 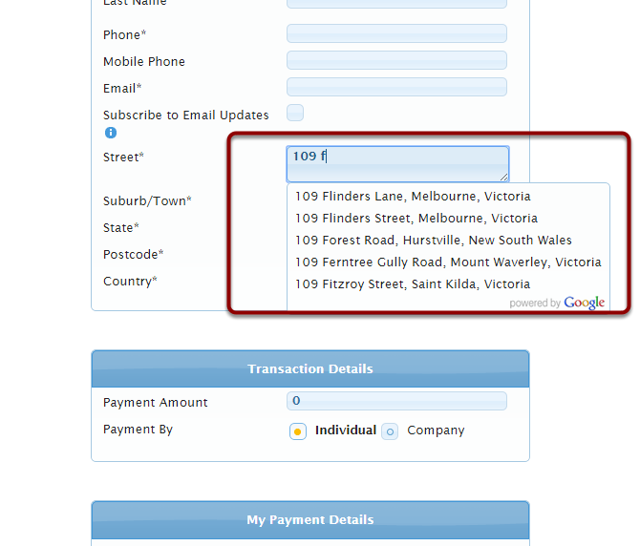 Kleber has a more complete address listing than Google Places and includes details such as Unit No, building level etc. It is AAkonsult's current intention to expand the functionality of Payments2Us to take more advantage of other API's and data validation provided by DataTools over time.